North Haven residents attended a September 2 ‘Coffee with your Legislator’ event at McDonald’s hosted by Rep. Dave Yaccarino. Yaccarino thanked area residents for attending the meeting and urged the community to continue to feel free to contact him regarding any issue. 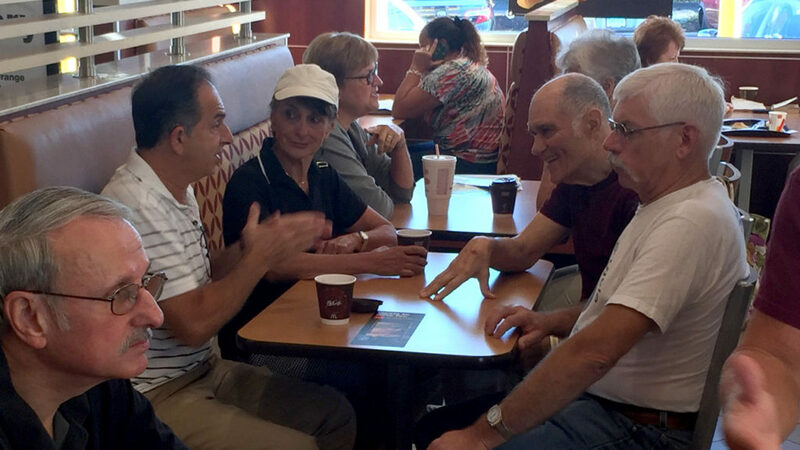 “It was exciting to see so many North Haven residents during my monthly coffee hour. People are frustrated with everything from high taxes, budget deficits, businesses leaving the state and even the proposed mileage tax. I want the people of North Haven to know that as your State Representative, I am always willing to offer an update on legislative activity, answer any questions about state issues, listen to concerns about our community and advocate for what is best for the people of Connecticut,” said Yaccarino. Yaccarino can be reached at 800 842-1423, [email protected].